Since Squidoo’s removal of favorites, Squidcasts, fanclubs, page breaks, bio box content, lensrolls and so many other changes, it’s impossible to tell which are the contributing factors in lensrank changes. A slight drop in Google traffic muddies the waters further. But now that we’re past the flurry of updates precipitated by these changes, and Squidoo is starting to stabilize, I see that this is not simply a temporary lensrank churn. I’m down to 5-7 regular tier one lenses from 10-12 before these changes. That represents a loss of over $150 a month. I’ve got tier 2 lenses with 500+ visitors. All together, about 30 lenses have tumbled down into the “dud” range, making nearly a third of my lenses non-earning. (See my Squidoo Stats.) Sales are down slightly too, although some of that is seasonal. I had guessed, but was never sure, that number of fans was a minor lensrank factor. My lensrank drop across the board seems to confirm it. If so, that’s good news for newbies. But I can’t be sure that’s the cause. Many lenses which dropped were page break lenses and/or received visitors from Squidcasts, since I used to use them to share Squidoo tips or interesting news related to the topics of my lenses. 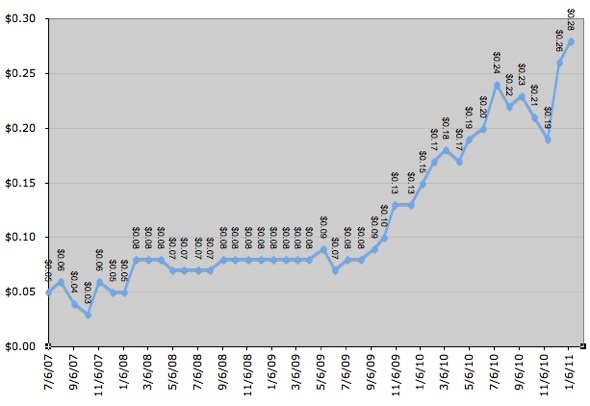 And all these changes have shaved about 2000 weekly visitor total from my lens portfolio. Therefore I’m left guessing: too many factors, no way to know which is the cause. On Squidoo, the cause doesn’t always lie in your lenses, but in everybody else’s: lensrank is a comparison between all lenses on the site. Many members had to do a tremendous amount of updating as a result of Squidoo’s recent changes, and all those updates mean different content, which Google will have noticed. There may be other Google factors, too: Google may have reacted to the changed structure of Squidoo brought about by the loss of lensrolls, navigation links in bio boxes, the extra Adsense above the fold, or other changes. And just because many of us have experienced drops does not mean there haven’t been gains elsewhere. Quantcast.com’s Squidoo traffic measurements suggest no more than typical seasonal variation. So I don’t think it’s just Google traffic. Other members may have good lenses that were overlooked under Squidoo’s old system. I’m not seeing any more spam or junk lenses than usual at the top levels of Squidoo. Just stiff competition. So now what? My personal goal to have Squidoo earning me $1500 by the end of this year has been set back by all these changes: I’m still not through fixing all my page break lenses, and I have created almost no new lenses apart from repotted page breaks. Some are getting traffic, and may in the long run be successful, but for now they are struggling to get onto Google’s radar; it still has some of them filed under their old page breaks. I was hoping to get my niche account up to Giant status this month, since it was rejected in April, but I’m still working on page break repairs there, too, and will probably miss the June deadline. Beyond Squidoo, I’ve been seeking other baskets for my eggs, but each requires a learning curve that’s difficult to climb while at the same time doing Squidoo triage. Wizzley.com is a possibility. I see Hubpages as a sleeper opportunity: Squidoo got hit hard by a Google slap 2007, got written off by many, and came back stronger. Print-on-Demand sites like Zazzle continue to have untapped potential. Self-hosted blogs or sites are probably the most viable long-term option. The closure of Amazon Associate programs in many states is worrying me: it may make the only monetization of my main blog obsolete. Longterm, the answer for me is to get my first novel published, but I was hoping to use Squidoo and other online earnings to provide a base income while I buried myself in writing. In short, this is a rough time for all of us. I don’t have the answers, and in fact I can’t post many Squidoo tips right now, since the strategies that used to work for me seem to be sputtering. I just wanted to share my own experiences, to let others know that you’re not alone: even experienced Squids hit rough patches. Like any job, the test is to persevere, find and identify what you can work on, and look for and test alternatives. On Dec. 4th, Timewarp asked if Tier Three lenses really mattered, since they get so little income. We discussed it in SquidU. Now we’re getting somewhere, especially if that trend continues. Spending 20 minutes to half an hour apiece, overhauled 15 “dud” lenses. It’s time to check on them and learn what we can. As you can see, 2 of 15 made tier 3 payouts. In addition, I believe from trends that Nauplion and Ants may soon be permanent tier 3 members. 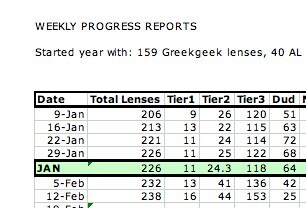 The few lenses that reached Tier 3 now have reliable clickouts + traffic of 5-6 or more. That combo is significant. Clickouts multiply, or at least add to, the lensrank-boost of traffic. So what’s helping those lenses cling to tier 3 now, when they were duds before? The Hexapus lens now gets some traffic through very specific image searches: I’d added images of a particular species of octopus, and it’s getting image searches for that species. People are also clicking on those images. Conclusion; I turned a static “news” page into a “here’s what you want…click it!” page. The Ants lens now gets improved traffic through search queries targeting its topic better. I’m not sure whether my slight tweaks to image names, headers, and body text improved on-page optimization, or it just needed one backlink (my last blog post), or whether this is just the typical in-and-out Google dance, but apparently the page is now ranking in Google and other search engines, and it wasn’t before. Take-home lesson: one quick way to boost bottom-rung lenses is to add images and label them with alt-tags. The lenses that failed were all narrow-interest topics that few people beyond Squidoo care about. Professional bloggers like Seth Godin and Arianne Huffington eventually get lots of people reading what they have to say. But they didn’t get their following through search traffic. They got there by saying more clever things, and/or providing more information, than 99% of the web, and then depending on word-of-mouth. In other words, social media, the alternative to search engine optimization. Two tools for two different kinds of content. But I think on Squidoo, or anywhere, you have a harder time getting traffic to idea-based content than person-place-or-thing content (which is easier to SEO). Soooo. My Tier One Challenge lens reached Tier One on Nov. 11, dipped DOWN to lensrank 2119 on Nov 29, and is back up to 1624 today due to an Amazon sale. That fails the challenge to keep it in tier one a month, but I don’t mind, as its average for November is 1800, early its very first tier one payout! Not bad for a lens which averaged in the 100,000+ range for all but 2 months Nov ’09 to Sep ’10. It’s still not a tippy-top lens, but I’m noticing a few trends that we can learn from, maybe. #49 in People – Note: I am sneaky! Its content also fit in How to & Education, but “People” had less competition, and Athena is a person…well, sort of. ALSO it’s a SquidQuiz. Optimization gave it a chance to get to the front page of the People category AND the SquidQuiz co-brand, both of which are “top of the hierarchy” pages which should have good pagerank. We look at community ratings, lensmaster reputation, clickthrough rates, frequency of updates, inbound and outbound links, revenue generated, and lots of other factors and give the lens a number. Every single visitor who arrived through search came with a slightly different search query. 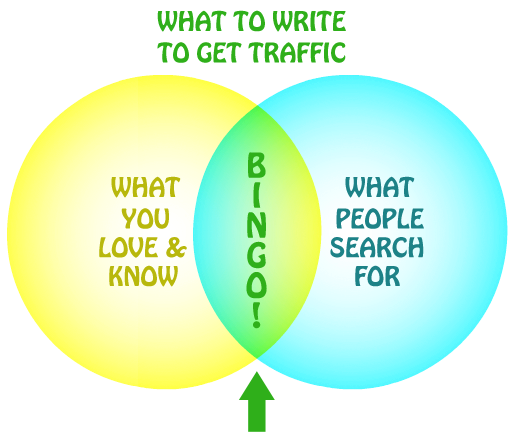 That’s the on-page SEO, optimizing for related searches, and content-rich approach at work. The referrals are visits from 18 different domains, half of them image searches or Google in other countries. As for outbound links, I’ve got that covered: 66 clickouts in a month, 28 clicks on 18 different links in the last week, clickthrough rate of 8%. I’m sure this is part of why a low-traffic (for tier 1) lens performs well. What I don’t know is whether the lensrank algorithm counts any kind of user intereaction — comments or taking a quiz — as significant. Tier One Challenge: We Have a Winner! Lensmaster DinosaurEgg’s Dinosaur Coloring Pages for Kids — Raah! is the first lens in the Tier One Challenge to rise to Tier One (after never being in tier 2, as per the rules) and stay there for 30 days. Stop by to visit it and congratulate this fairly new lensmaster, who joined in late July! Title includes keywords for search engines, tells people exactly what’s on the page, and has a little personality to draw the click! Hand-picked links and resources. Forget writing lots and lots of your own content. Get people to what they want with a guarantee you’ve picked out good links and products! TONS of really good links, which means a ton of clickouts. PAGE BREAK MODULE: lots of closely-targeted pages means more “fishing nets” for visitors, doubling, tripling, even quadrupling traffic potential. Clickouts and sales are the bottom line, but both depend on traffic! Cross-linked with a ton of other dinosaur niche lenses by the author (Yahoo site explorer sees 99 links from the rest of Squidoo.com to the page). Backlinks, schmacklinks: of the 138 backlinks Squidaholic (Yahoo site explorer sees), 18 are outside of SquidU posts (mostly Squidom, lensroll, squidUtils, but one hub, and a few blog posts). Weekly traffic: 438 today. You don’t need thousands. You need hundreds who are willing to click and/or buy. Well done, Dinosauregg! Thanks for the lesson in how to Squidoo!